In the United States and Canada, redlining is the systematic denial of various services to residents of specific, often racially associated, neighborhoods or communities, either directly or through the selective raising of prices. Digital redlining is when seemingly neutral algorithms inadvertently make decisions that lead to discrimination. Chris Gilliard teaches at Macomb Community College in Dearborn Michigan. 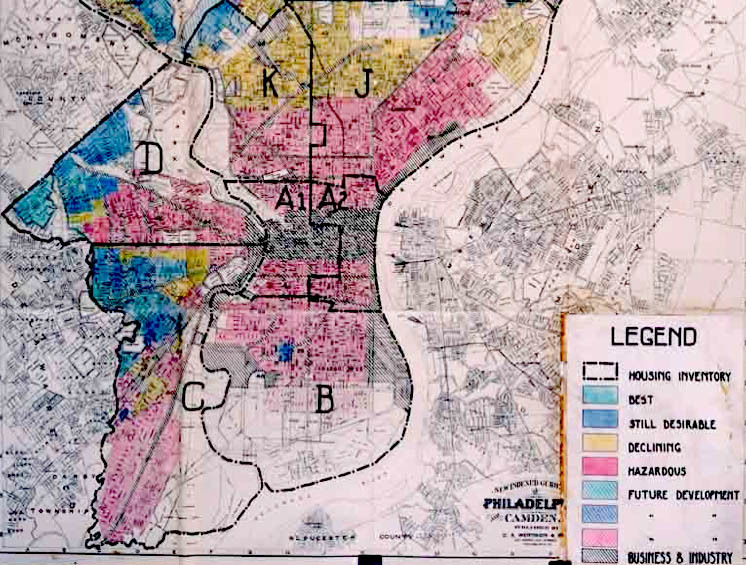 He’s studied digital redlining and uses it as a powerful metaphor to talk about the way class divisions and racial discrimination can be fostered by algorithmic decision making. Digital redlining is not a renaming of the digital divide. It is a different thing, a set of education policies, investment decisions, and IT practices that actively create and maintain class boundaries through strictures that discriminate against specific groups. The digital divide is a noun; it is the consequence of many forces. In contrast, digital redlining is a verb, the “doing” of difference, a “doing” whose consequences reinforce existing class structures. Digital Redlining, Access, and Privacy, Common Sense Education.